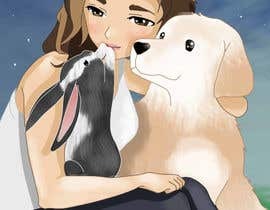 Draw my friend and her pets!! 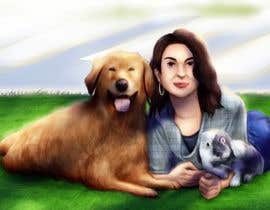 My friend had 2 pets (a dog and a rabbit) and they recently passed away so I want to gift her a drawing of my friend with her pets. I'm not looking for an specific style, it can be cartoony, stylised, realistic... But I'll upload 2 pieces I found online that I really like so you can get inspired. I'll probably print the final design so I prefer A4 size or similar. 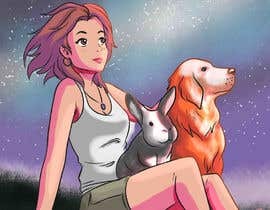 I upload pics of my friend, the dog and the rabbit. Ask me anything you need. Thank you! why you award before closing contest?? Well, I tried to warn you... Let's just hope you finally get your complete entry for the unjustified extra money, good luck! 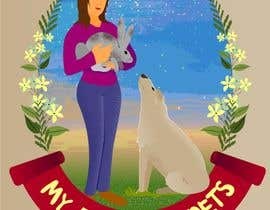 Is this contest some kind of scam? the winner obviously do less than rest of entry. What do you think? Hi there, I'm working on design. I have uploaded my entry . This is purely handmade with extreme dedication. 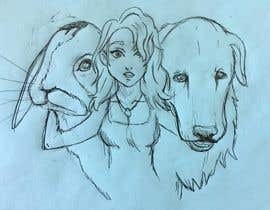 The sketch is very much similar to the photos that you have provided to me . 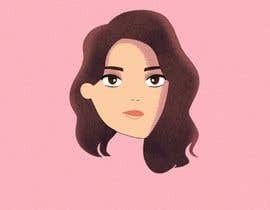 Hope you like it .If you want any change in the photo then please reply . Thank you . Please wait sometime for my entry. Sealed is also a double edged blade... Once sealed, no contestant can see each other's work so, yes, no one can copy each other... But, at the same time, no one can denounce other's copy and pasted jobs, so sealed is also an easier way for scammers to sell a fraud to the contest holder, since no one ever knows until contest is finished and money is cashed. Think on that too. Not to mention that this is a contest and no one is allowed to blackmail you saying that they will complete their work if you pay more. There's already a prize money and everyone delivers full work for that money. Rules are clear about that. If someone is concerned about getting their work copied, they can always choose to seal their own work, so you're not actually obliged to seal your contest. It means other contesters cannot see my work.Same goes for me, I can't see their work.Therefore they don't have a chance to copy. What race is the dog? Hello Mate! Would you please upload the images?